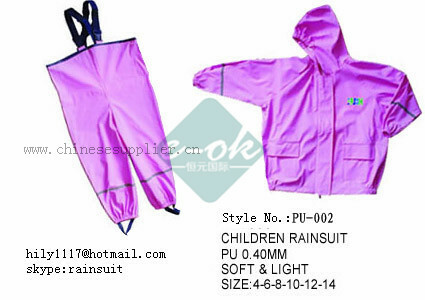 Including kid rainwear, womens rainwear, rainwear for girls, They can be PU materials, with soft feeling, glossy and shiny effect. Color of the rainwear: Mutipule color or three color for one raincoat, should be by your pantone number. 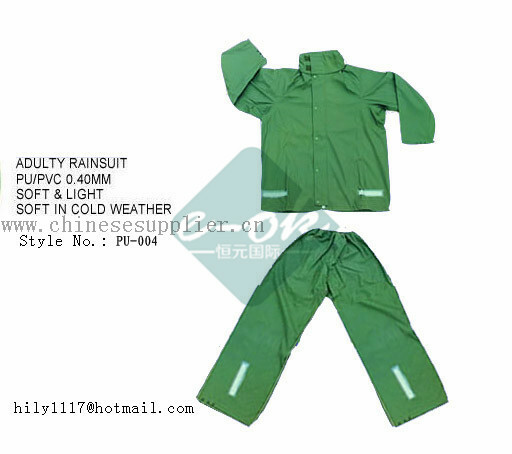 Elastic sleeve cuffs and elastic leg for the PU Rainwear. 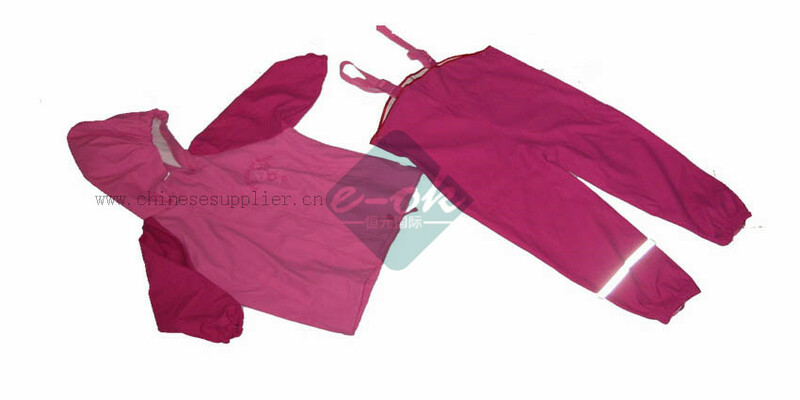 Detachable hood/ attached hood within drawing string for the kids rainwear. 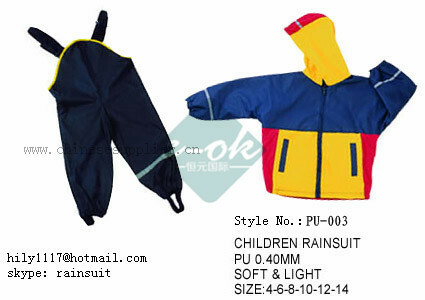 Size of the rain jackets: From Children to Adult, Buyer's specification available.